Red bartsia is a relatively short (usually under 30cm), purplish plant with a squarish stem and lanceolata leaves. 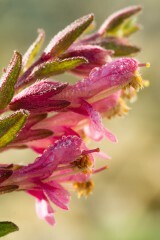 From June to September it bares spikes of pinkish purple flowers 8 to 10mm long. 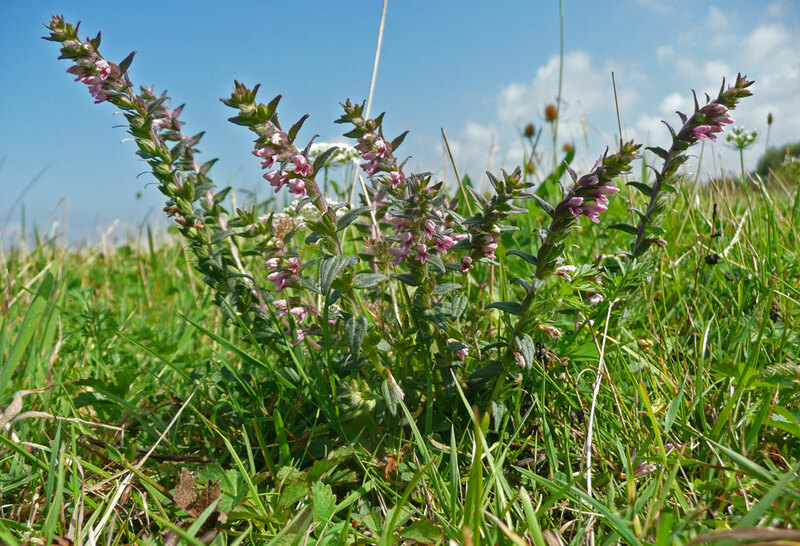 Red bartsia is an annual root-hemiparasite of short grasslands on low-fertility soils and is particularly associated with trampled areas like the edge of tracks and footpaths. Its main pollinators are carder bees and other solitary bee species including one (Melitta tricincta), found in the far south east of the country, which is wholly dependent on red bartsia. The botanical name derives from ‘odons' the Greek for tooth and relates to its pass use as a cure for toothache. Like its relative yellow rattle, red bartsia seed requires a period of chilling to break dormancy. Seed should therefore be sown in the autumn.